Spirent offers a wide range of test systems and capabilities to meet your Multi-GNSS ( GPS & SBAS / GLONASS / GALILEO / BEIDOU / QZSS / IRNSS ) test needs. All Multi-GNSS systems are designed with future development in mind and are expandable to address tomorrow’s test requirements as well as today’s. 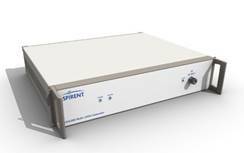 Whether you are undertaking R&D performance testing, integrating devices into your product line, verifying performance or assessing manufacture of Multi-GNSS devices, Spirent has a Multi-GNSS test system available today to match your needs. · Comprehensive build in modeling of spacecraft, aircraft, ship and land vehicle. 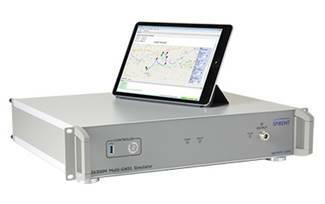 · The GSS6300M is a multi-channel GNSS simulator for production testing and receiver integration. Its can simulate L1/E1/B1/E1 signals from GPS/SBAS, GLONASS, Beidou and Galileo to test the fundamental positioning capabilities of any GNSS device. RF record & playback systems enable you to repeat a real-world GNSS/GPS test run over and over in the lab. The GSS6450 can record any RF in the 100MHz-6,000MHz frequency range - including any current GNSS signal, 2.4GHz and 5GHz WiFi, and Cellular. With the capability to record at up to 16 bits ‘I’ & 16 bits ‘Q’ and the flexibility to select any 80MHz band within the frequency range, the GSS6450 can be configured to meet your testing requirements - even as they evolve. 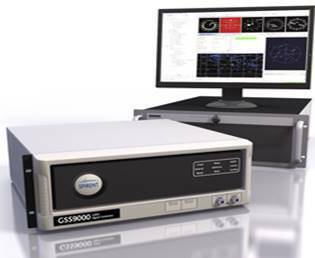 The GSS6425 is a multi-constellation Recorder & Playback System. It is capable of recording complete GNSS signals in the L1, L2 & L5 altogether. 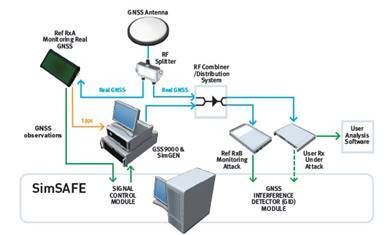 · The GSS7765 Interference Simulation System, when combined with one of Spirent’s GNSS satellite constellation simulators, offers a comprehensive solution for testing satellite navigation equipment in the presence of intentional or unintentional RF interference. 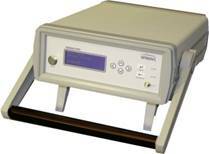 The Spirent GSS7725 is a dedicated RF interference generator that turns I/Q files into interference signals. Combined with a GNSS simulator, the GSS7725 lets you test your chipset or device in a variety of different interference environments, under controlled, repeatable conditions. The GSS200D is a GNSS interference/jamming detection system that operates simultaneously on multi-frequencies. It is able to detect, warn and capture any in interference within a deployment site. The captured interference is stored in I/Q format that can be replayed by a GSS7725. Multipath and signal obscuration can cause significant error in GNSS receivers. Multipath errors can vary from a few metres to hundreds of metres, depending on satellite geometry and environmental conditions. Accounting for these occurrences is vital in most positioning, navigation, and timing solutions. Sim3D is an innovative 3D modelling system that creates a realistic environment for the testing of multipath and obscuration effects. Simulated GNSS signals interact with fully customisable models and environments, giving a level of detail, control, and realism not available in other solutions. SimAUTO is a powerful upgrade for Spirent’s multi-channel simulators to provide lab test support for today’s multi-sensor In-Vehicle Navigation Systems (IVNS). It allows development and testing of automotive Dead Reckoning GPS receiver platform. SimAUTO is added on the SimGEN to emulate a vehicles wheel tick and output of a gyrosensor. Option to drive a single axis ratetable if required. 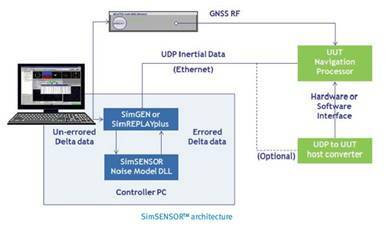 SimSAFE is GPS/GNSS spoofing test solution. 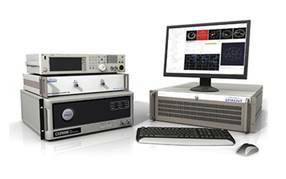 It uses GSS9000 or GSS8000 with SimGEN software suite to provide a realistic laboratory based spoofing test-bed. The system provides a legitimate test signal and spoofing attack signal for testing of receiver vulnerability and counter measures to spoofing attack. This software package operates with Spirent’s flagship SimGEN software suite. SimSENSOR extends the capabilities of these Multi-GNSS simulators by simulating MEMS sensor outputs on a common trajectory with the simulated GNSS RF signals. The simulated MEMSs sensor outputs include user control of representative noise and errors (bias/drift). 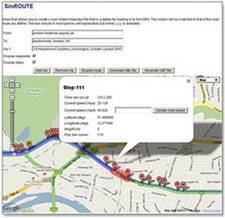 SimROUTE™ is an on-line tool which creates a Spirent-formatted User Motion File (*.umt) from a Google Maps defined route. SimROUTE™ is built upon a Google Maps Application Programming Interface (API) and as such shares many similarities with the standard Google Maps interface. The generated User Motion File can then be used in any SimGEN™, SimREPLAYplus, scenario to provide the motion trajectory for the simulated vehicle. SimGEN is a software suite that can create a vast range of signals, effects, error models, trajectories and much more. It brings together 30 years of expertise in a tool which, when combined with a Spirent Global Navigation Satellite System (GNSS) RF simulator, forms a world-class test solution for all forms of GNSS technology R&D—from the development of a GNSS receiver or GNSS-enabled device, to the development of a GNSS itself.